What time should I arrive to Thrive Conference? Arrival is from 9am. There will be tea, coffee and morning tea served. Thrive Conference attendees to be seated 9.50am for 10am start. What will happen at the conclusion of the Thrive Conference program? Networking and drinks will be hosted for one hour from 5-6pm following the conclusion of Thrive Conference. Thrive Conference will be hosted at The Pier Geelong, Cunningham Pier, 10 Western Beach Foreshore Road, Geelong VIC 3220. See map below. 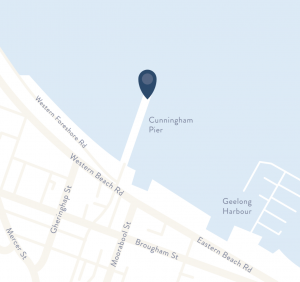 There are approximately 150 car spaces on the Pier itself, in addition to ample car parks on the Geelong waterfront should you require. The full day fare on the Pier is $10.00 per vehicle. See here for more details. No, you will be checked in on arrival with your ticket registration details which you will have received via email. What is the event hashtag?